A man was charged with sexual offences after allegedly exposing himself to a woman and acting suspiciously outside a school in Middleton Cheney. Tony McDonald was charged on Saturday (June 16) after being arrested over the incident in Archery Road the day before (Friday). 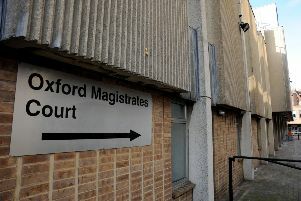 The 27-year-old, of no fixed abode, is due to appear at Northampton Magistrates’ Court today (Monday).